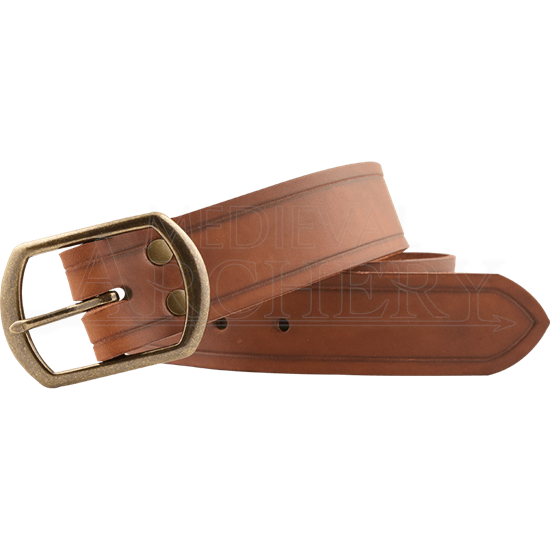 A trusted belt should be a staple in every historical or fantasy wardrobe, and the Leather Medieval Waist Belt fills that role with its straightforward style and superior quality. 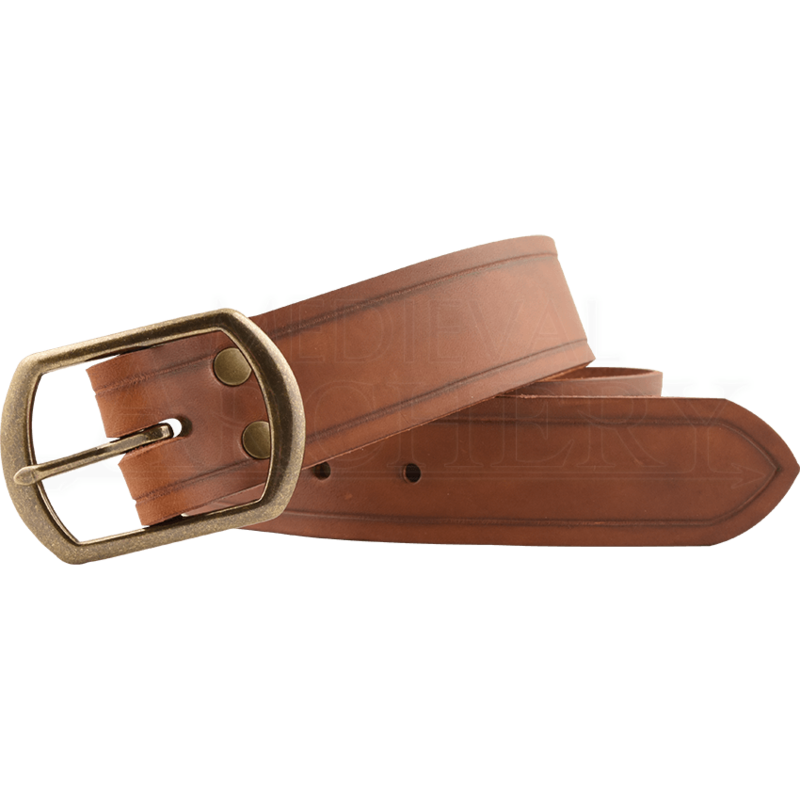 Handcrafted from 7/8 ounce leather and available in a wide variety of colors, a heavy duty metal buckle secures this belt in place and allows for easy adjustability. Choose between steel or antique brass hardware to better match your style. A thin embossed line along each edge of the length adds just enough interest to this reenactment, Renaissance fair, and LARP staple. No matter where you wear it, this medieval leather belt is the ideal accessory.